Easy lunch recipes brings a few ideas for the working person. Healthy slow food, made fast is our slogan. They don't have to take an age to make. 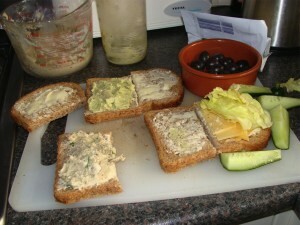 In fact, today's sandwiches and snacks took me only four minutes to throw together. This page was updated on 28th October, 2018. 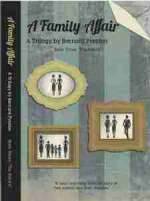 She who must be obeyed makes hers the night before, but Bernard Preston is far too idle for that. 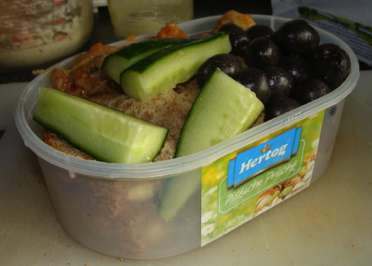 Four minutes in the morning is what it takes to prepare easy lunches. We are looking here at Mr Average. If you're diabetic with blood pressure of 200/120, not taken a decent holiday for eighteen months, haven't been on your bicycle, or enjoyed a walk or had a swim in weeks, well, it needs to be a lot more stringent if you want to see sixty. Are you a smoker? Well, chances are you won't see the seventh decade any way, unless you cycle, and dip regularly into healthy choice foods; even then you'll be the exception that proves the rule. I'm a bit embarrassed to start with this eggplant recipe. It's way out, and not what we do every week; actually it's now been demoted but remains a favourite. But that's where we are today. Whilst some of these ideas may not fit with you, take what does, and be prepared to experiment and delight in new and different foods. Eat as wide a variety as possible. It's the only way to get all the vitamins, minerals and phytosterols we need to prevent the host of prostate, breast and other cancers that are afflicting our world. Creating a divine green salad isn't difficult if you're a gardener, but frankly it's really difficult to get fresh veggies; to my mind it makes more sense to grow them. Creating a divine green salad with added colours makes a mouthwatering easy lunch recipe that will utterly banish iceberg lettuce for ever. It's your best way to achieve high folate levels, important in preventing birth defects and achieving high scores in school. If you have children or are of childbearing age make sure you know about this lettuce nutritional value. Adding a protein is of course important. That could be cheese or a boiled egg, for example, but if you think your diet is high in animal protein, then fresh raw peas from the garden take a lot of beating. How to grow peas on high on my gardening agenda. 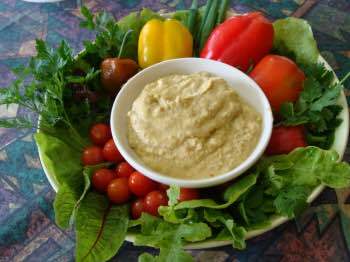 If you're serious about stepping up to better health, then think no further than this healthy hummus recipe for a great start to added protein in your diet. And beware of a low carbohydrate-high protein diet, especially if it's red meat. These are my top 7 functional foods for better health; enjoy them weekly; better still daily. Providing you make it yourself, and it's so simple, homemade mayonnaise will add to any salad; I use many different condiments to spruce up a green salad; variety is the spice of life. This parsley pesto is another simple dressing for your green salad. Quiche Bernie takes 15 minutes to prepare, and then another 40 minutes in the oven; it uses a real bread base; perfect with a green salad for a quiet lunch, or healthy picnic. New research shows that you can enjoy a potato salad, and not worry about your waistline, provided you know about reheating resistant starch. Something perhaps slightly exotic is our fennel and tomato salad; it's a herb you may not have tasted before; it has a mysterious anise flavour. Use the sauce sparingly as it can overpower the more subtle fennel. Swiss chard food is the stuff that made Popeye famous, and enabled generations of moms, and for good reason. Spinach and it's first cousin Swiss chard are loaded with the good stuff. More important, you can cook it in a jiffy, and with a little help from garlic and balsamic vinegar it tastes so good. It's one of my favourite easy lunch recipes. 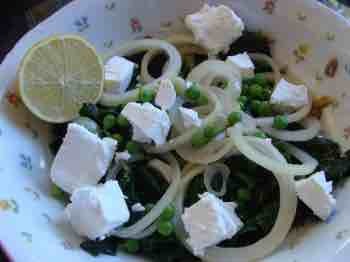 Here is one of our fresh spinach salad recipes. Stuffed spicy eggplant is a very simple Lebanese dish, one of my favourite easy lunch recipes, but something of an acquired taste perhaps. 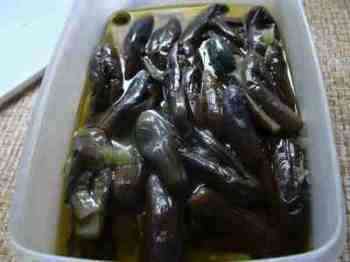 Use only fresh baby aubergines as they are called in Europe. My son-in-law describes them as Amazon slugs! This only takes five or ten minutes to prepare, but it does take about an hour in the oven, so some aforethought is necessary. It's really all about thyme herb benefits, and the butternut is just one way to enjoy this lovely, healthy herb. Hot or cold, this delicious roasted butternut squash recipe will add to any repertoire of easy lunch recipes. You can use this for a lovely variation of our healthy hummus recipe; personalise your food to your own liking; don't get stuck with a recipe which is really only a starter for your own creativity; whoever heard of adding butternut to hummus! Certainly a fruit, if you didn't have any for breakfast. A few olives perhaps? They, and the avocado, are fruit. They are full of the healthy essential fatty acids we can't live without. Both the Banting diet proponents and antagonists are in agreement; eat avos and olives. Use the Site Search function to find links in bold like the Banting diet above and healthy flour below. Here are a few easy lunch ideas for your "four-minute to prepare lunch." 2 to 3 slices of whole wheat brown. Never eat white bread or crackers; they are junk food that destines you to an early grave. Why? Refined white flour products are high in carb, with zero fibre, no vitamins, usually added artificial flavourants, preservatives and have none of the phytosterols we desperately need to be healthy. In short, crap, sorry to be vulgar, but I feel strongly about it. The short route to obesity, painful arthritic knees and ankles, diabetes, heart disease and all that stuff. Well, I do break down occasionally, perhaps once a month. A roll with a tomato soup is nice isn't it? My advice is, enjoy a smidgen of butter or mayo, and make sure you have plenty of the healthy goodies in your packed lunch ideas; on your bread, too. Enjoy some low fat protein. A bit of chicken left over from last night, some cheese, my first choice for protein is some hummus. But really, use your imagination. A little of that left over mutton stew, or beef roll? The Banting diet has brought some new research into focus; firstly that it's high glycemic index carbohydrate that makes us obese. And secondly that a diet high in fat but low in starches is by far the easiest way to lose weight. You don't feel hungry on these energy dense foods. If your weight is good you can have your low GI bread and butter and eat it with relish and zero guilt. See our panera recipe below for ideas on how to make your own low glycemic index loaf; if you're serious about your food, use only 100% healthy flour. Healthy choice foods are what you a realistic chance of living to your eighties and nineties; with all your marbles intact. Some of these easy lunch recipes should regularly be on the menu. On your bread add some low fat protein. A bit of chicken left over from last night, some low fat cheese, my first choice some hummus nutrition, but really, just use your imagination. Some mutton stew from last night? Tuna and homemade mayonaise... AUTHENTIC HUMMUS RECIPE. I'm not exaggerating, you can make our Authentic Hummus Recipe in four minutes. I just did. Timed it. Can you answer the question what is cumin? It's a vital spice for your garbanzo bean dip. 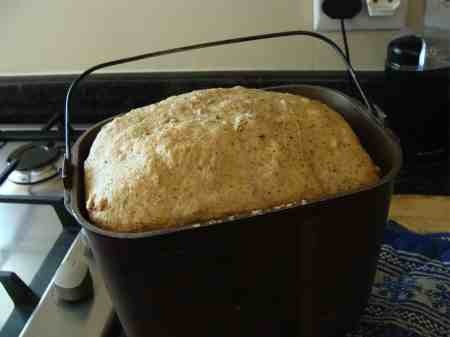 Thought of making your own bread? This easy panera bread menu recipe you can prepare in only five minutes with a breadmaking machine. Fancy that, your own mouth watering bread every day. And now the salads. Just follow your own dictates, and if you don't like salads, stuff something in anyway. A stick of celery? Today I'm planning a peanut butter sandwich, with a leaf of lettuce in. Doesn't stick to your mouth either with the lettuce. It's my variation of a lettuce wraps recipe. I love a couple radishes in my lunch, some olives; they are a fruit by the way. Do your own thing. What's special about lettuce, radish and parsley? Enjoy these healthy choice foods, and live long in the land. I must admit green grocer salads are not very exciting which is why growing lettuce is so important to us; then you can enjoy them fresh from the garden every day; likewise with radish nutrition. For a little variation, growing coriander, also known as cilantro, creates a wonderful herbie lunch. Do you have an allergy? 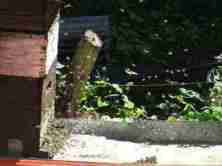 Some folk have difficulty with bread, and in particular if you have been eating supermarket loaves that often contains a nasty chemical that causes a gluten intolerance. For more about it and celiac disease type it into the search this site engine in the navigation bar. Today's quick lunch ideas may be helpful. Of course in order to make your lunch in four minutes, you have to scrounge around in the fridge. Because I love butter, my great weakness, I have to compensate, so yesterday I made a favourite eggplant dip called moutabel baba ghannouj for dinner. Don't be put off by the name; it's Lebanese not Ben Laden stuff, and eggplant has wonderful cholesterol lowering properties. It takes me less than ten minutes to make moutabel. It's terrific on a salad, sandwich or, if you insist, a nutritionless cracker. 1. One drum stick left over from last night. Recipe for sesame chicken is one of my favourites. 2. Three slices of wholewheat bread with peanut butter and lettuce, and a moutabel garbanzo bean dip called hummus. 3. A couple slices of cucumber, and half a dozen olives. Oops, the peanutbutter is 'op' as we say in Holland. Finished. So it's cheese instead. It could have been tahini; do you know what that is? One of the great dishes the Mediterranean has given to us. Bob's your uncle, four minutes, I'm not exaggerating, including taking these pics! Klaar, done. Here's an interesting thought from Jamie Oliver; there's no such thing as junk food. Either it's junk, or it's food. Corn on the cob is one of my favourite easy lunch recipes. 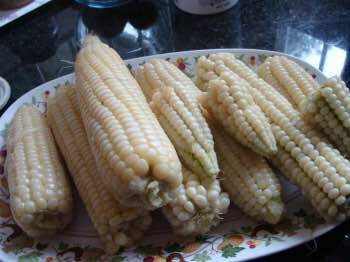 If you're lucky like me, a short walk in the garden to pick a couple cobs, three minutes in boiling water and, hey presto, you have corn on the cob for lunch. It does mean turning off the television for half an hour and figuring out how to grow corn. After radishes the easiest vegetable to grow in the garden; it's a rich source of vitamin E.
Interestingly we've been eating mealies, as we call them, daily and haven't put on an ounce. 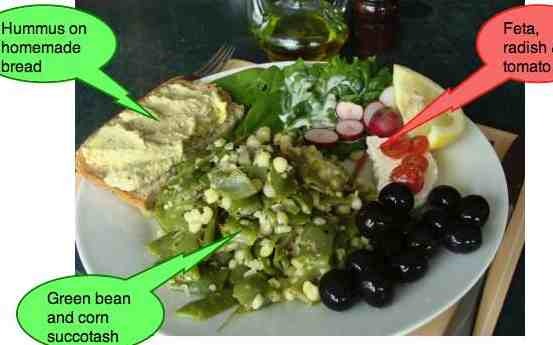 Seen in the context of the salads seen on this plate, have no fear of low glycemic starches like fresh corn. It's also partly because allowing food to cool allows some of that starch to pass through to the colon where it's more slowly digested; what do you know about resistant starch? It's a vitally important subject for every cook. However, being a whole grain, unrefined and unprocessed, it already contains a large amount of resistant starches; they reach the colon for digestion by the normal flora, producing amongst many other compounds, butyrate; it's a powerful natural anti inflammatory helping to prevent autoimmune diseases of the bowel like diabetes and ulcerative colitis. A summer vegetable garden really simplifies making your easy lunch recipes; the fresh salads are only a few steps away. Easy lunch recipes are some of the quick menus that Bernard Preston uses to beat the fast food take away temptation. Update: I now make my own bread. It takes only five minutes, literally to make our own Panera bread menu recipe ... healthy, fresh bread every day for five minute's work? No more chemicals, preservatives, trans fats, bread-belly-ache. If your have your own electric flour mill then your bread will cost half the price, and you won't have to purchase vitamin E and calcium supplements; and a host of other nutrients removed by the millers. Olive bread is easy to make with the use of a baking machine; perfect for your healthy easy lunch recipes. Making your own bread is so easy; it takes no more than five minutes with the aid of a bread machine. If you want to do it the old fashioned way, then think about using this sourdough bread recipe starter. It's so easy and gives your loaf a wonderful, healthy flavour, free of preservatives and chemicals. Do you need more easy lunch recipes? Butter is back and margarine is definitely out; it certainly makes your easy lunch recipes more tasty. Don't be shy about using butter on your bread and in your cooking. Julia Childs is smirking; new research looking at 80 old studies declares that there is no convincing evidence that a low animal fat diet is protective of your heart. Read more at this butter is back link. However, having said that, a black and white diet, meat and potatoes, deficient in the phytosterols found in salads and fruit that inhibit the absorption of cholesterol, high animal fat and heart disease are linked. Aim for ten colours in your diet every day, and make sure you reach at least five. Peanut butter is an all time favourite, and for good reasons. The problem is that mostly it's loaded with salt and sugar, and hydrogenated oil. Instead, try this peanut and ginger sauce on your bread; so easy to rustle up. On the side with a salad, or your sandwich it's a great flavour; healthy too. I'm not so sure about the supermarket stuff, and can't recommend it for your easy lunch recipes. Wanting a simple hot lunch? 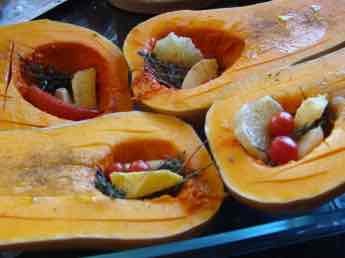 Take a couple young gemsquash, spear them with a sharp knife, and drop them into a minimal amount of boiling water. Boil hard for five to ten minutes, depending on how old they are. Buttered gem squash, perhaps with a topping of hummus, makes a perfect, quick lunch. There are so many TV programmes now on making fancy food; if you have the time, by all means. For me, I'll stick to slow foods, made fast. It takes thirty seconds to spear a gem squash, and in ten minutes you have a delicious, healthy lunch. Quick, easy lunch recipes is what it's all about for me. Do remember this is a working man's lunch. Chiropractor Bernard Preston doesn't sit behind a computer all day. Also, today I'll be cycling to the Barendrecht station (20 mins x2), plus 2 x 10 min walk from the Dordrecht station to the clinic. It beats going to the gym. Later: Three slices of bread was too much. Two tomorrow. I felt stuffed all afternoon. The olives were more satisfying than I expected. 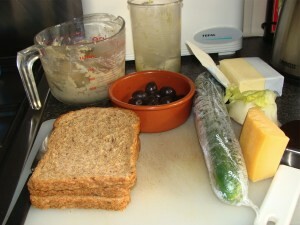 I enjoy pickling olives by the way, or making Olive Pate or even better Tapenade, once the can is open. The olives don't keep too long. Don't be put off by these strange names. It's no coincidence that the Mediterranean people are amongst the healthiest in the world. That's where your roots probably are, in any case. A HEALTHY DRINK FOR A HOT SUMMER'S DAY? But during the day, remember that beer makes a good servant but a very bad master. Pole beans and corn from the garden make a delicious healthy lunch, made in a jiffy. The general principle is: think of using some of last night's dinner left-overs for lunch; green bean succotash recipes are so easy and healthy. But if you have no corn on the cob, then cooking green beans and turning them into a salad with olive oil, fresh lemon juice and a little garlic is equally simple. Do you know that research shows that 30% of the food bought in supermarkets in the UK ends up in the garbage? A sin! I wonder what the stats are for your home? Use your left overs for tomorrow's easy lunch recipes. In green jargon it's known as the race to end waste; do your bit for King and Country, and you'll have a good few extra pounds to spend on your holiday. A good chicken tractor design improves the nitrogen fertiliser in the soil in an organic manner. Free range eggs have a much higher value of omega-3 and choline; these two alone will dramatically reduce the inflammation in your body. Free range cage free eggs are spectacularly different to the pale shadows you get from the supermarket. There's really no need to fuss about the calories in hummus; a few in the olive oil. And of course, the calories in avocado, a wonderful fruit that we could add to this salad, need to be considered; it's healthy unsaturated fat. Cooking chickpeas - the main ingredient in hummus. Okay, I'll admit it, I am a bit of fruit cake! 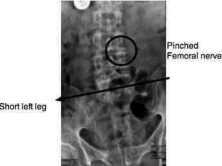 Most doctors are nuts, and chiropractors too. Don't take us tooooo seriously! But I promise you this, my easy lunch today was far tastier than any McDonalds can produce. I haven't done a costing, but I guarantee it is no more than $2. Better still, I have no arthritic knees and aching feet, my BP measured last week (when I donated blood to the vampires) was 120/82 (not bad at 62), and I've taken no drugs since a misdiagnosis five years ago when the quack thought I had sinusitis. Turned out to be a very mild dose of shingles, on the forehead to boot. By the way researchers looking at the prevention of heart stroke diabetes with diet ranked unsalted nuts and seeds daily very highly. Nearly half of these nasty diseases could be prevented by simple changes in what you eat. Have a good day. And don't forget the easy lunch recipes, and share them with your friends if you enjoy them. Enjoy classical guitar? A waltz with lunch...? This is not for a takeaway lunch for a chiropractor; the garlic breath might offend half the patients during the afternoon session! 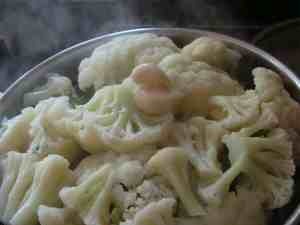 My cauliflower salad recipes are so delic. How to cook cauliflower - make this wonderful healthy easy lunch recipes in a jiffy. Really. Leave out the garlic if it's not to your fancy. 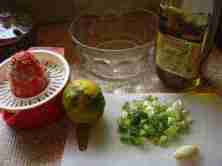 A blind hen suffering from macular degeneration is a dead bird; they too need healthy lunch recipes! Now that we have hens, looking for free range cage free eggs, I have found it interesting that given the chance they will dive into three crops in the garden; green beans for the extra protein and the health benefits of kale; and of course fresh corn on the cob. 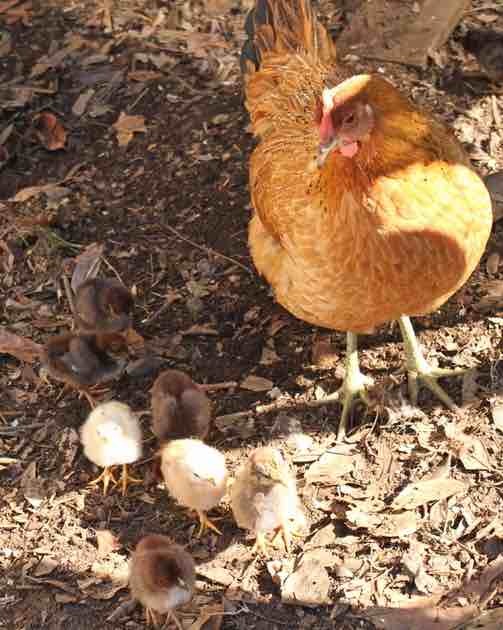 Like us, hens need extremely good eyesight to pick up the bugs under leaves, so they love foods rich in lutein and zeaxanthin. 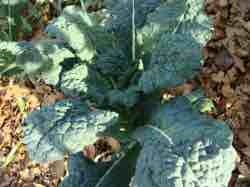 Lutein macular degeneration is just as important for them as for us; we try to have at least one leaf of kale on our salad and another lightly steamed with butter. Few things can compete with a cob of corn, straight from the garden before the sweet natural sugars are changed to starch. 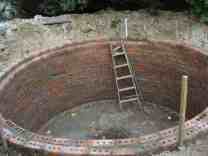 There's no mystery about how to grow corn, but you do need a largish garden. It's absolutely delicious on any easy lunch recipe. You just pop a seed in the ground, and come back in three months for two hundred pips! Today, January 1 in the southern hemisphere, we had our first corn on the cob. 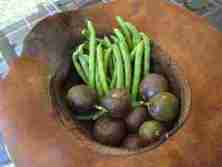 Straight from the garden to the pot; they too are a rich source of lutein. And today March 31 and our mealies as we call them are getting too hard; the remainder of the crop will go to the hens. For three whole months we have had one for lunch virtually every day. You may well ask, are we enormous with all the starch we eat on a daily basis? Bread, new potatoes, corn on the cob, butternut and all the legumes are banned on so many diets; it's nonsense because it's the refined carbohydrate that is public enemy number one. Even diabetics can usually enjoy new potatoes without an alarming rise in postprandial blood sugar, and there's heaps of research proving that whole grains are an important way of preventing heart stroke diabetic diseases. Notice I said 'whole' grains; not bagels, supermarket bread, russet potatoes and cans of sweet corn; eat them and you'll be going to seed in no time. Looking at the overall context of the meal, as I so often stress, then provided you've been pigging out on the foods above then you can certainly indulge your sweet tooth periodically! Try our easy homemade vanilla ice cream recipe. Commercial ice creams have so much crap added; if you're serious about desserts and better health, then consider one of the portable ice cream freezers; they're surprisingly cheap. It's not an arduous process to make your own easy homemade vanilla ice cream; you do need to prepare the custard at least a few hours ahead of time, and preferably freeze overnight. Fresh fennel isn't easy to come by but radish is the easiest of all the salads to grow. For a subtle variation in flavours you might try adding sweet basil instead of dill to the sauce; the herbs eugenol oil helps to prevent the cells that break down bones from forming; reduces the tendency for osteoporosis; every woman should be enjoying basil and cloves regularly in her cooking. Add a small touch of another healthy quick hummus recipe on the side if you want more protein; or, feta cheese? Our theme is slow food made fast; what does take time is acquiring healthy fruit and vegetables. When you can make easy lunch recipes like these, with a little imagination, why eat out? Now try our fast healthy dinner recipes. You'll find this page all fits with powerful new research from JAMA, the journal of the American medical association on heart stroke diabetes.